NHS officers Dalton Thompson, Jai Sanghani and Alina Husain look over the agenda for the Sep. 12 meeting. NHS members have been working with the Carmel Education Foundation to promote the event. The National Honor Society (NHS) has begun preparing for the Ghost and Goblins 5K coming up in October. Their main focus at the moment is promoting the 5K around Carmel. “We have students promoting around the high school in different areas. 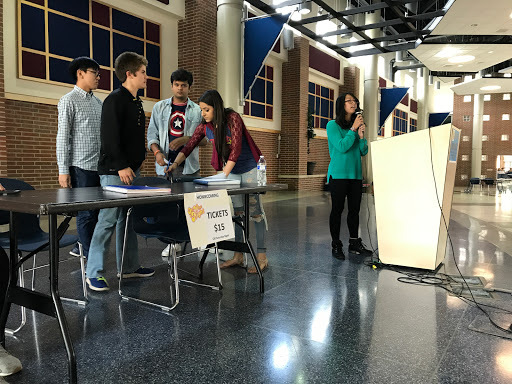 They’re with the department chairs, they’re with different sports teams, they’re working with GKOM, they go to the football games,” said assistant sponsor Michelle Skidmore. Advertisement for the Ghost and Goblins 5K also requires members to put in effort outside of school. “We have students working within the community, so they go to the farmer’s market, we’ll have students walking around at the arts festival. They wear boo crew T-shirts, and they pass out little fliers telling them when they are like save the dates,” said Skidmore. 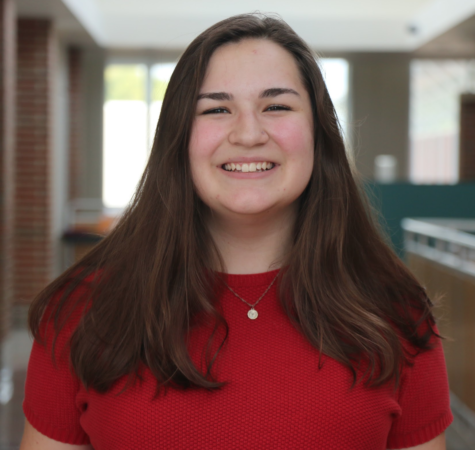 Senior Laura Burnham is a member of the NHS PR committee for the 5K, requiring her to go to an elementary school in the district and promote the event to younger kids. “I’m in charge of my elementary school, which is Orchard Park Elementary. And so I go there, either during the school day or after school, and then talk to the kids, talk to the administrators, and just let them know what Ghost and Goblins is and how they can be involved in it,” Burnham said.